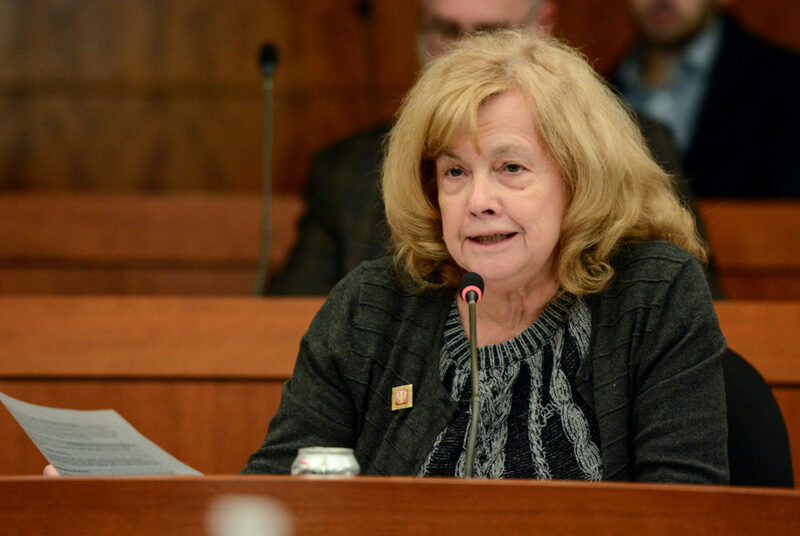 Sylvia Marotta-Walters, the chair of the Faculty Senate’s executive committee, said that as of Friday all school bylaw reviews, except for the School of Business, had been turned in to be reviewed by the executive committee. Schools across the University are working to align their internal regulations with recent changes to faculty governance at GW. All of GW’s 10 schools have been negotiating changes to their bylaws to ensure they comply with the faculty code, the governing document that dictates how faculty, administrators and the Board of Trustees reach decisions. Faculty said the process ensures that changes in faculty hiring and the make-up of selection committees are formalized across the University. Sylvia Marotta-Walters, the chair of the Faculty Senate’s executive committee, said that as of Friday all school bylaw reviews except for the School of Business had been turned in to be reviewed by the executive committee. Marotta-Walters said the codes had been updated to clarify the criteria for tenure and promotion and that bylaw changes ensure those new policies are implemented at individual schools. In 2015, officials began encouraging schools to update their bylaws to match the overarching governing document. She said by clarifying inconsistencies in language, the review process would make the faculty code a more cohesive document. Marotta-Walters said the new code also redefined academic freedom to acknowledge new standards by which faculty conduct their research, teaching and service. Last April, the Faculty Senate passed a resolution calling for clearer guidelines to protect scholars’ rights to express ideas without retaliation after an increase in high-profile protests around the country to shut down controversial speakers. In past revisions of the code, faculty had said they felt left in the dark after the Board of Trustees rushed to administer changes to the document without first consulting faculty. At the same time, some faculty said they were confused about how the code could be changed and for what purpose. Provost Forrest Maltzman said tweaking the school bylaws cuts down on previous confusion about hiring and selection committees between faculty and administrators. Maltzman added that the review also includes changes to involve trustees in deans’ selection committees, a proposal that concerned faculty when it was first introduced. Steve Charnovitz, an associate professor of law and the parliamentarian of the Faculty Senate, said this was “the first time in anyone’s recent memory” where all schools had been involved in the process of updating bylaws. “The Faculty Senate played a large role in the faculty code revisions and now the schools are in the implementation process on issues involving school governance,” he said in an email. Once submitted, Charnovitz said that the bylaws are reviewed by an executive committee consisting of himself, a representative from the school, the school’s senator on the executive committee, Marotta-Walters, Maltzman and chair of the senate’s professional ethics and academic freedom committee. Charnovitz said submitting the bylaws on a rolling basis since 2015 had been beneficial for schools because the relaxed timeline allowed them to submit their edits when it was convenient for them. He said the process of updating the bylaws should officially be completed by 2018, but did not specify the exact date. This article appeared in the November 16, 2017 issue of the Hatchet.